We live in a small house, we have a tiny kitchen and each square inch is held sacred. Recently we decided to think of alternative ways to store our spices. An Ikea shelf and recycled mason jars makes our storage problems a thing of the past. 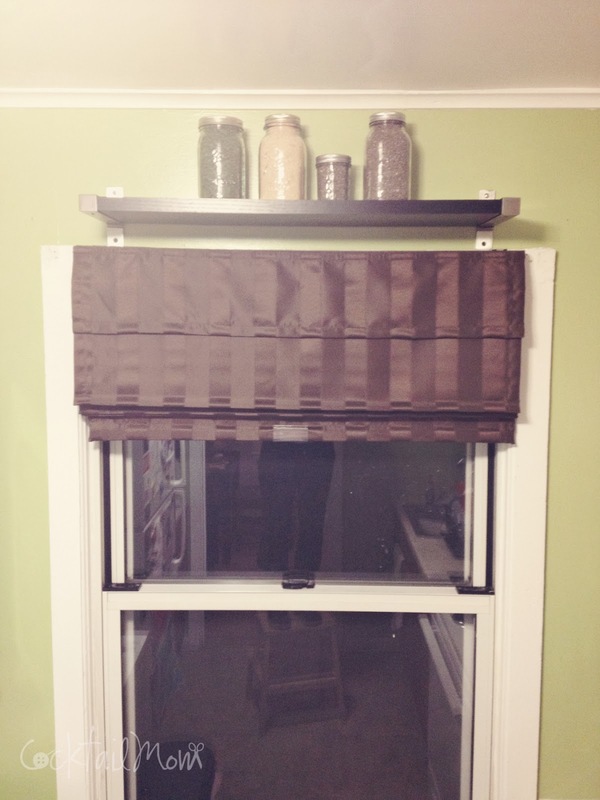 Have you thought of placing a shelf over a window? It could work in a bedroom to store books or a bathroom to store additional linens. Share your alternative storage ideas in the comments.